Does a USB to UK socket adapter exist? I hope this isn't too confusing. I'm travelling on Ethiopian Airlines in a few days and I see that the flight has a USB. I know that I can charge my electronic devices however the most important thing for me is using my laptop which has a short battery life. I can't charge it with a USB so I was wondering whether I can connect my laptop charger on the plane to a UK socket adapter that is plugged to the usb port on the ports at the back of the seats. There is no such device because what you are proposing is impractical. Laptop chargers require between 100 and 240 volts alternating current input. (Some may require a more limited range). USB sockets give 5V direct current, not anywhere near enough to charge a laptop, and the wrong type. Building a device that could convert 5V DC to the range of AC required would be theoretically posible, but the losses in the system mean it would take much more than the current that is the max a USB can deliver. You would almost certainly be prevented from connecting the device to the USB in the unlikely event that you made this device, and any attempt to do this might damage the USB outlet. There are other devices that allow you to extend the life of a laptop batteries. 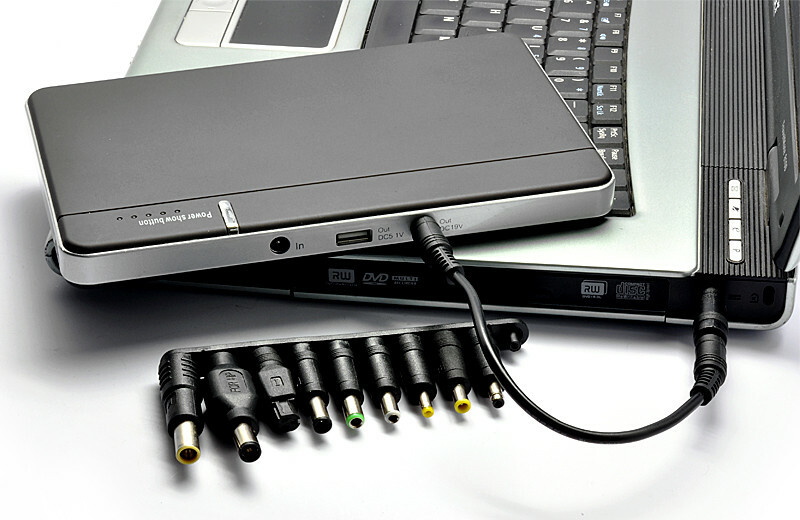 The most common is the laptop power pack, which essentially charges your laptop from a portable battery. This would be a much simpler and acceptable solution. It's perfectly reasonable to think that would work. The problem is the laptop class of machines just take more power than readily available present-day USB plugs can possibly serve - 5 or 10 watts depending on vintage and quality. An iPad will use the full 10 watts and then some when at full screen brightness playing a game - and that's just a tablet. That said, airlines know you want to plug in, and provide options. Some airlines provide mains receptacles at the seat. This is the new trend. Some others may have EmPower's obsolete 15V system, which is a special, round plug, good for 75 watts (will cover most laptops). It is electrically similar to an automobile's "cigarette lighter" power port (12-14 volts). Quite a few products were designed for EmPower's 15V system, including cigarette lighter adapters, Apple MagSafe cables), and inverters with Empower 15V plugs and provide mains voltage. A quick look at my laptop's charger shows that it outputs 19V at 2.1A which is 40 watts of power. So for a 5V USB socket to give us 40 watts it would have to do so at a current of 8 amps, which is equivalent to 16 default-power 0.5A USB connections simultaneously. You could possibly buy enough USB cables and connect to all the outlets together, risking looking like some sort of hacker, or buy lots of USB charger banks and USB cables to solder up some bulky adapter which will probably end up looking like a scary bomb (don't actually do that :D). Instead, you should really look at the device category specifically designed for this purpose called Laptop power bank. You can find them in a variety of supported plug types and capacities. Make sure yours has a capacity within the allowed limit for your airline. The total capacity might include all your mobile devices with all batteries, so get out a calculator and use one of the electric parameter conversion sites. To fit your question exactly, you can probably find a version of this which charges itself from 5V USB ports. Eventually some USB ports will be able to supply up to 100W for just this purpose (USB 3.0 with SS PD logo) however not the ones on current Ethiopian planes most likely. Check seatguru.com with your flight information to see if there is a mains outlet so you can use your regular charger. In my limited (yet miserable) experience with this airline, probably not in economy on long haul flights. Probably such an outlet will be available in business or first class, but check. Some airlines outfit their aircraft with such outlets at every seat on long haul flights. If you have one of these laptops - you can charge them using any power that supports USB-C devices ... unfortunately seatback USB power doesn't have that fidelity. In normal situations, you use this as your regular laptop power supply; and then when traveling you use it as a battery to top-up your laptop. 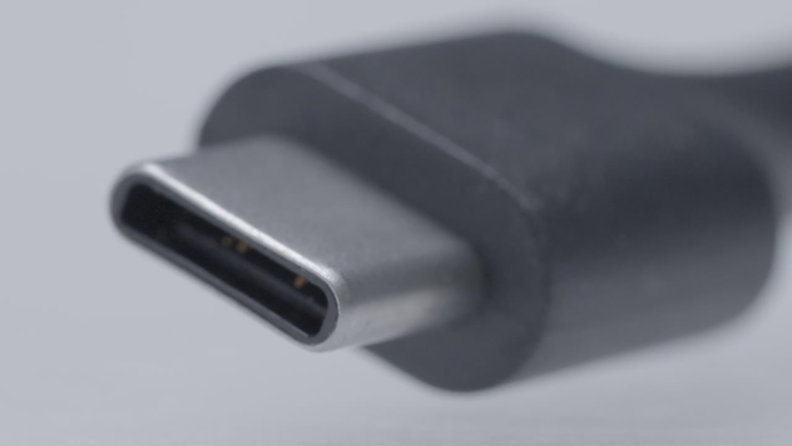 It is really quite ingenious and one of the many reasons USB-C looks so promising. 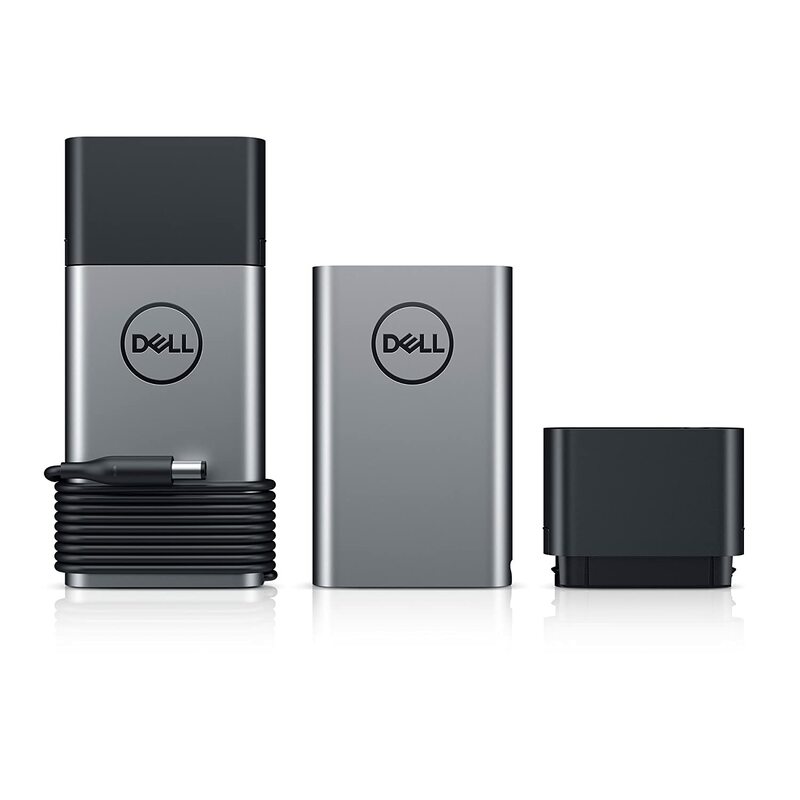 Despite being manufactured by Dell, you can use it with most smaller USB-C laptops. If your laptop has good support for USB-C you should be able to charge it using a USB cable, without using a big laptop charger. Some laptops doesn't support charging using USB-C, but that's for another question. Not the answer you're looking for? Browse other questions tagged power boeing ethiopian-airlines or ask your own question. Power supply stabilizer or inverter for use of European laptops in Laos? Are there any countries where modern devices that take 100-240V AC power won't work? Will this device work with a US/Europe adapter? Is there a power adapter that works for all plug type pairs (A to O)? Can I charge my Samsung Gear S2 watch in UK?